Four months ago a Harle Syke young man, preferring a life afloat to prospects of joining the Army, went into the merchant service. Last Monday the ship on which he was sailing was sunk by enemy action. He arrived home on Wednesday afternoon, and yesterday went to look for another ship. He returned later in the day, and will stay at home until a vacancy occurs. 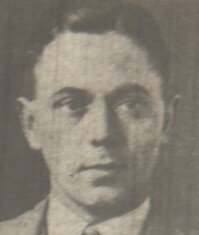 He is Mr. Jack Heap, younger son of Mr. and Mrs. J. Heap, 44, Burnley-road, Harle Syke, and he was formerly employed in the butchering department of the Burnley Co-operative Society. He joined the crew of the London ship “Pacific Reliance” (6,717 tons), as assistant cook, and sailed with her to America. For some weeks the ship was busy on the other side of the Atlantic, and Mr. Heap thoroughly enjoyed the experience. The voyage back to London was uneventful, but the ship had left there to sail round the coast to another destination when the disaster occurred. None of the crew saw any sign of the U-boat which fired the torpedo, and having heard experiences of other shipwrecked sailors, were not anxious to see the men who had sunk their ship. They felt anxious when suddenly an aeroplane appeared overhead. The whole of the crew of 56 who had escaped from the “Pacific Reliance” were taken on board and their lifeboats taken in tow, and about nine o’clock in the evening they were landed at a small port on the West Coast. Asked if he would go to sea again, Mr. Heap said, “As soon as I get a ship. I like the sea, it’s a grand life and not many British ships go under when you think of the number there are afloat. Next time I hope to get on board one of the lucky ones. A member of the crew of the merchant ship "Pacific Reliance," who when the vessel was torpedoed and sunk off the English coast in 1940, were saved after having been several hours in the lifeboats, Mr. Jack Heap, son of Mr. and Mrs. J. Heap, of 44, Burnley road, Harle Syke, is now reported missing following the sinking of his ship. This news was contained in a message which his parents received this week from the owners of the vessel. Mr. Heap was last heard of some three weeks ago from New York, where his ship had called and where he had been spending some time on shore. The cablegram which his father and mother received from him then stated that he was in good health and spirits. Mr. Heap joined the crew of the London ship "Pacific Reliance" as assistant cook in 1940, and sailed on her to America. For some weeks the ship was busy on the other side of the Atlantic. The voyage back to London was uneventful, but the ship had left London to sail round the coast to another destination when disaster occurred. After a torpedo had struck the ship the order to abandon the vessel was given immediately, and the crew got into the four lifeboats. To their great relief an R.A.F. plane flew over and guided them towards land. Later, a small coastal vessel picked them up. Mr. Heap arrived home a few days later, and a short time afterwards he joined his second ship.